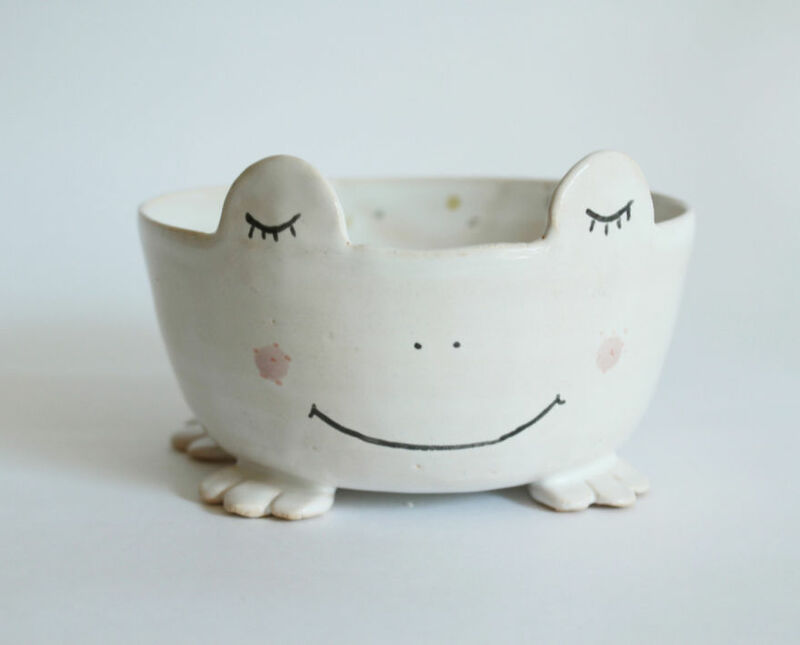 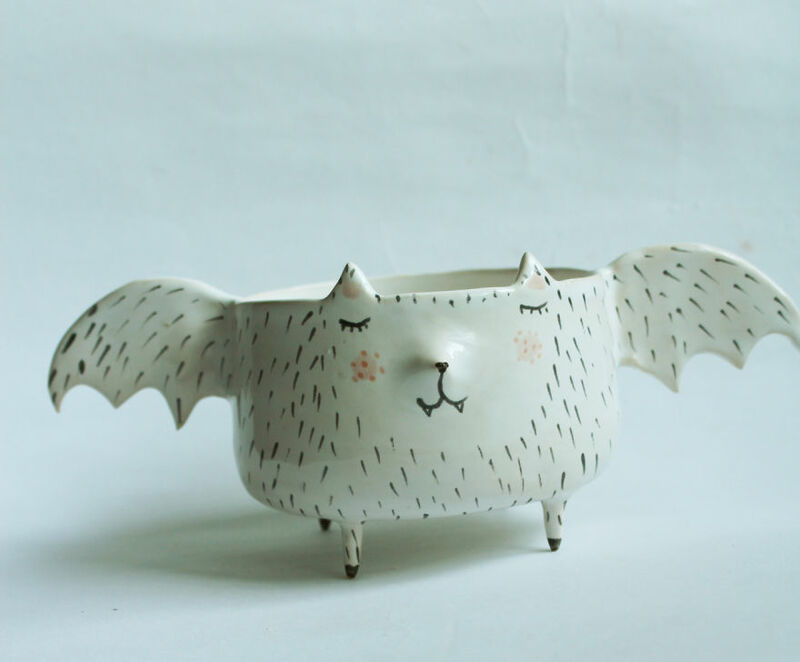 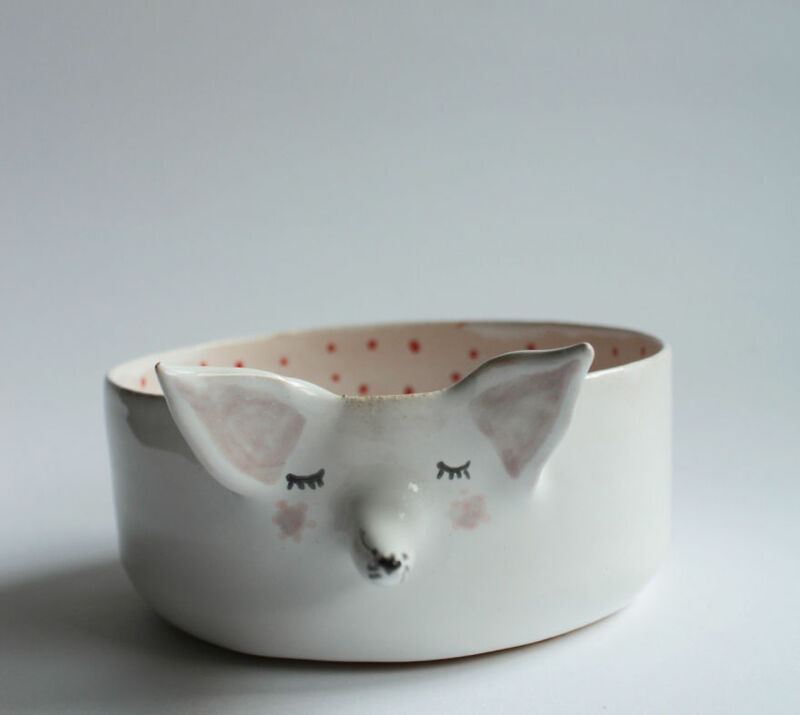 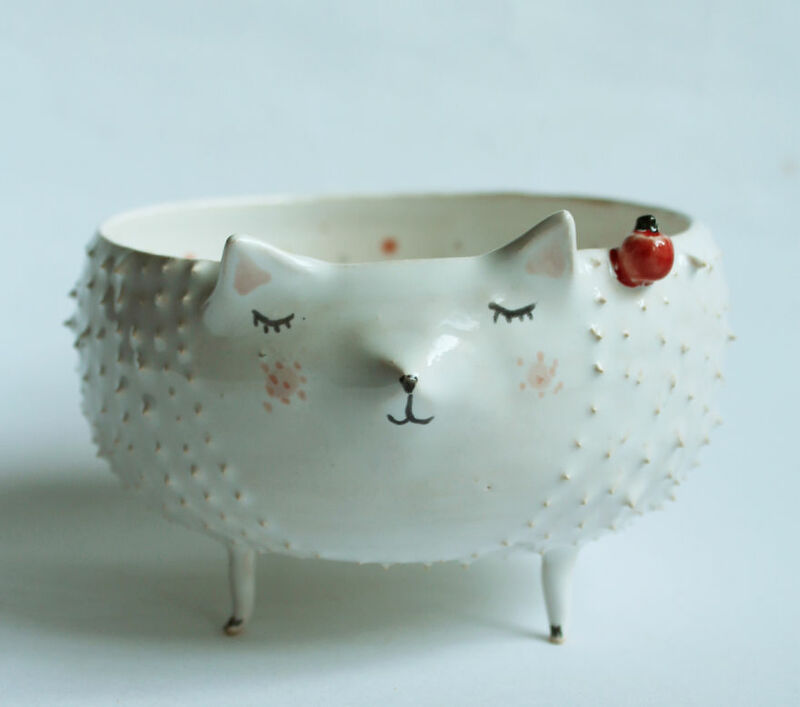 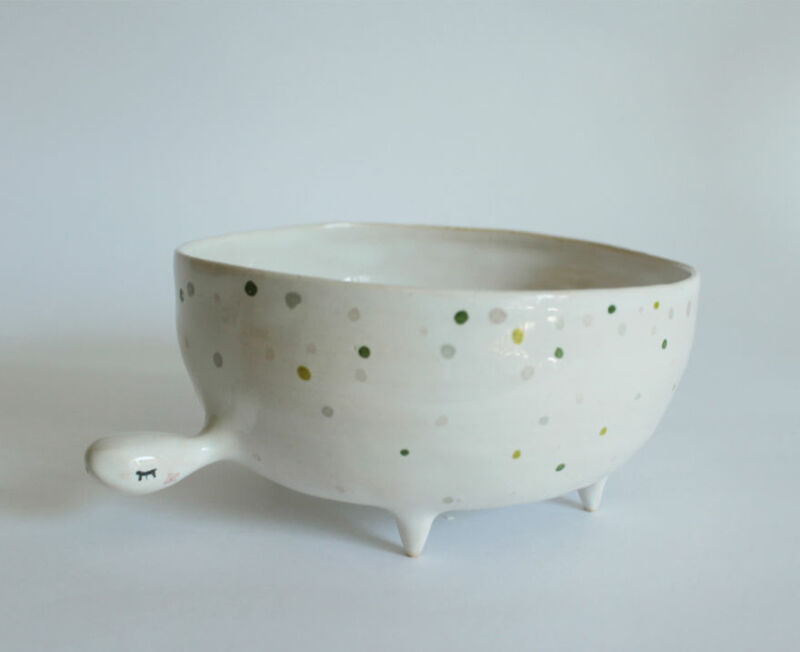 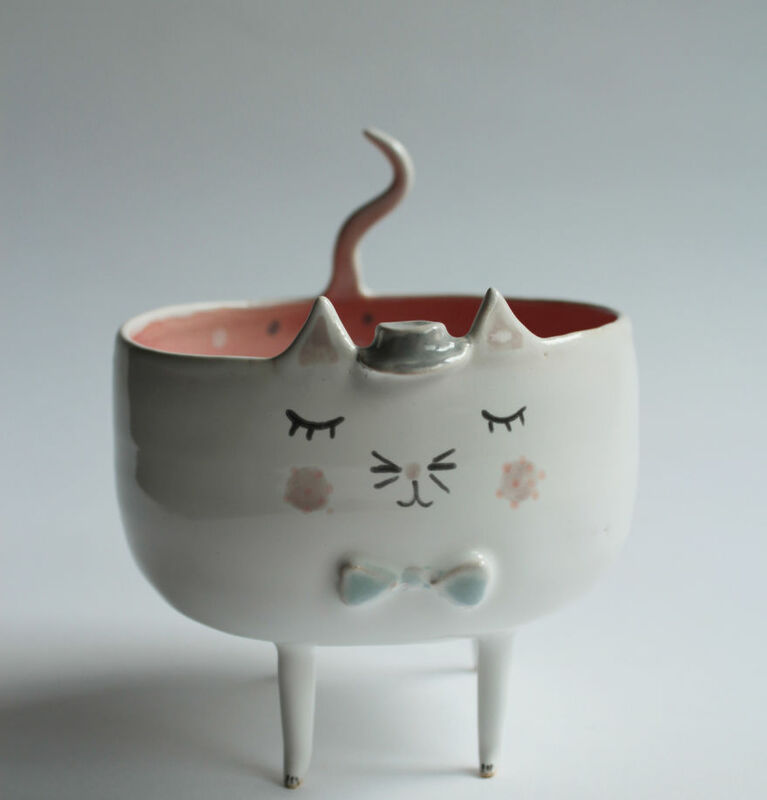 Warsaw, Poland-based artist Marta Turowska creates these whimsical bowls and plates that feature our favorite animals like cats, hedgehogs and whales. 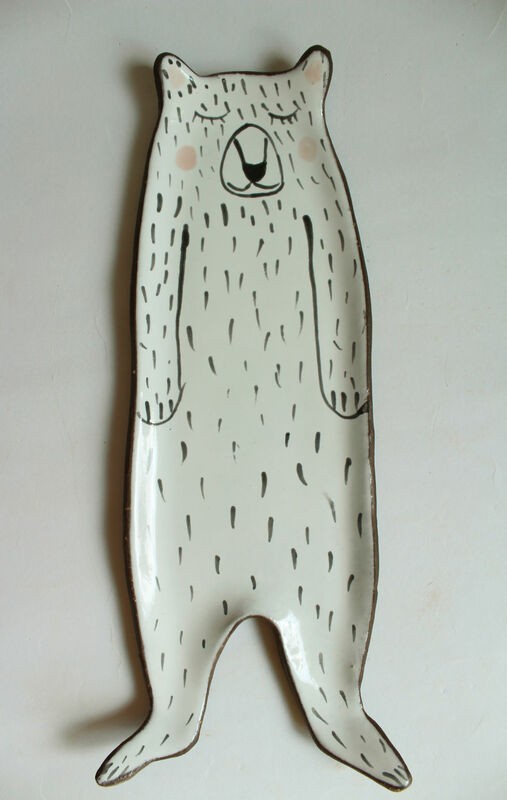 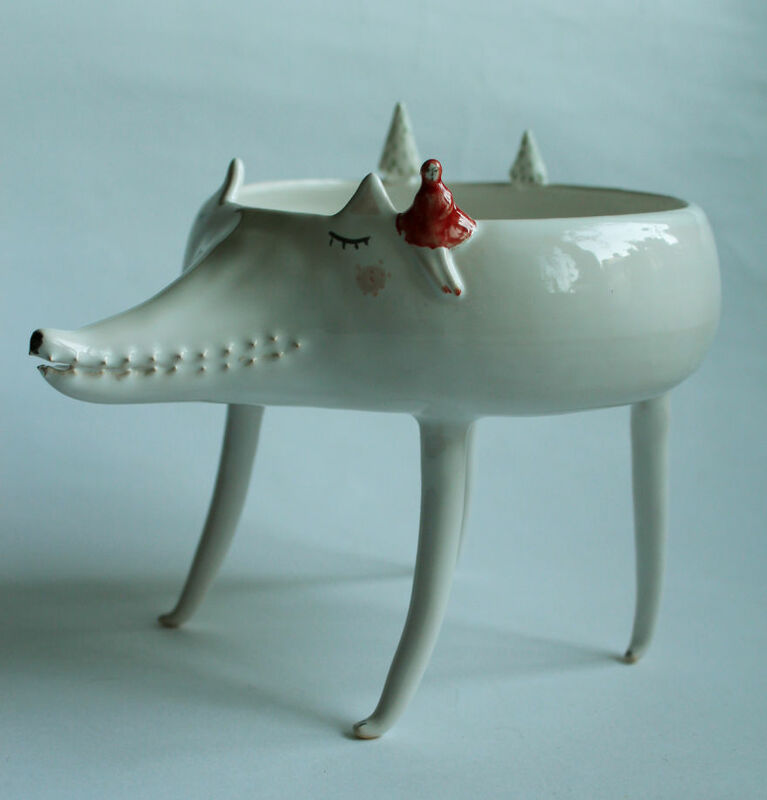 Her works are all made completely by hand on a potter’s wheel and then the animals’ tiny features are painted on. 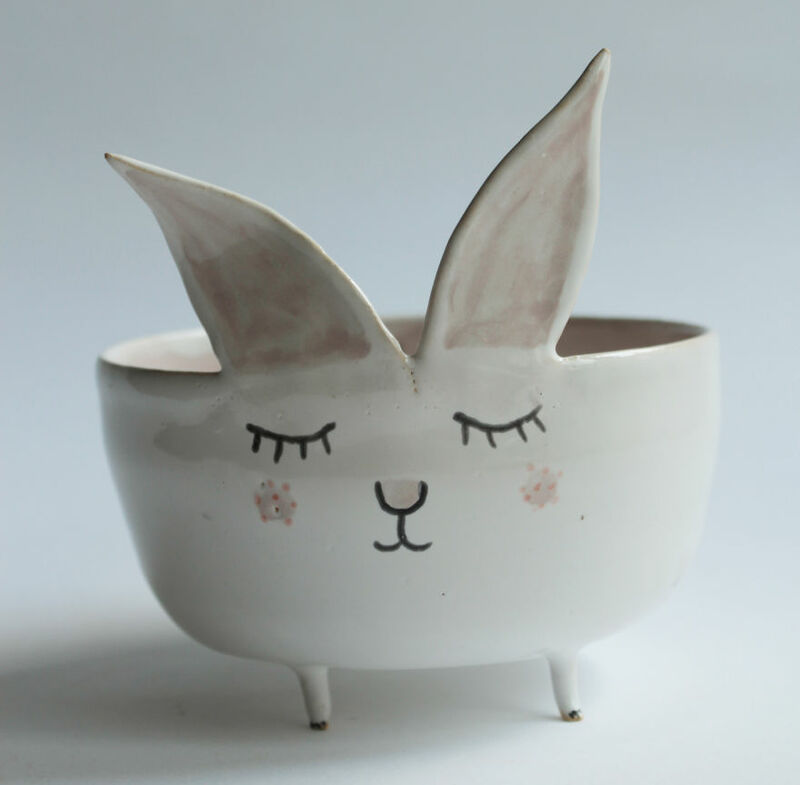 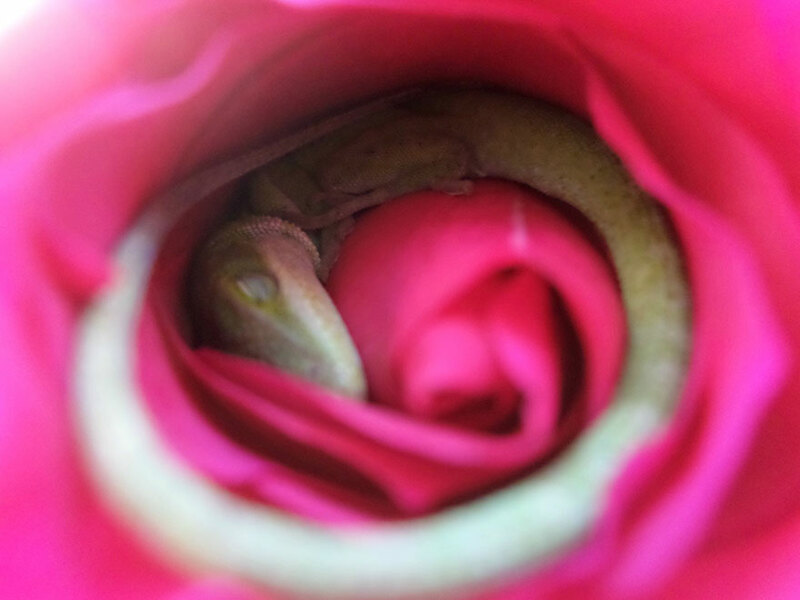 “I am passionate for clay, glazes and paints,” she states. 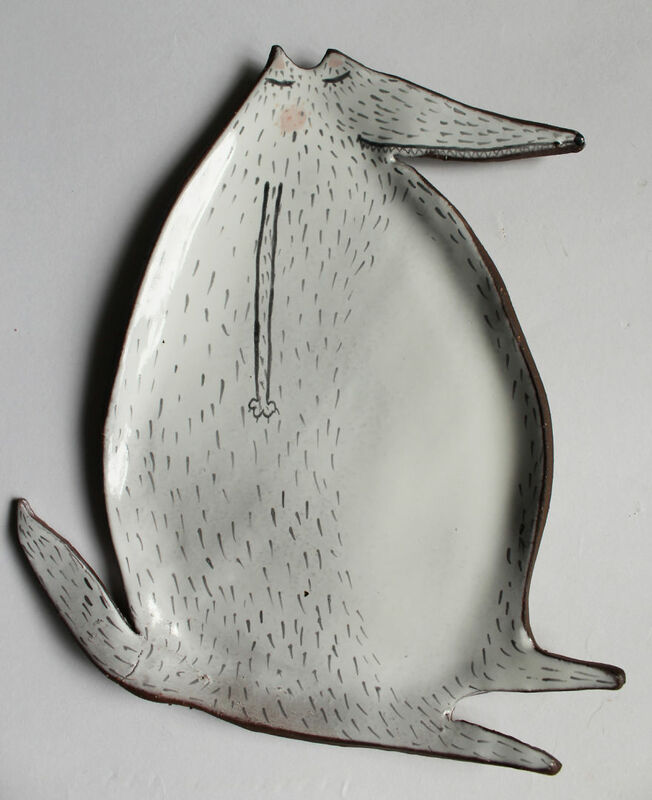 “Each mug, salter or plater coming out of my workshop has its own story, different inspiration”.